Demand for peace in the Middle East grows, while Quartet diplomats iron out details for Tony Blair. The world looks on, not shy of predictions. Key Jewish leaders remain cautiously optimistic, while Arabs voice concern about Blair's past record in the region. Despite the fact Blair has been labeled "Bush's Poodle," response to his recent appointment as Mid-East envoy tends to generate similar preambles-he is "highly intelligent," "capable," and generally "welcomed," as an official from the Israeli Consulate confirmed. 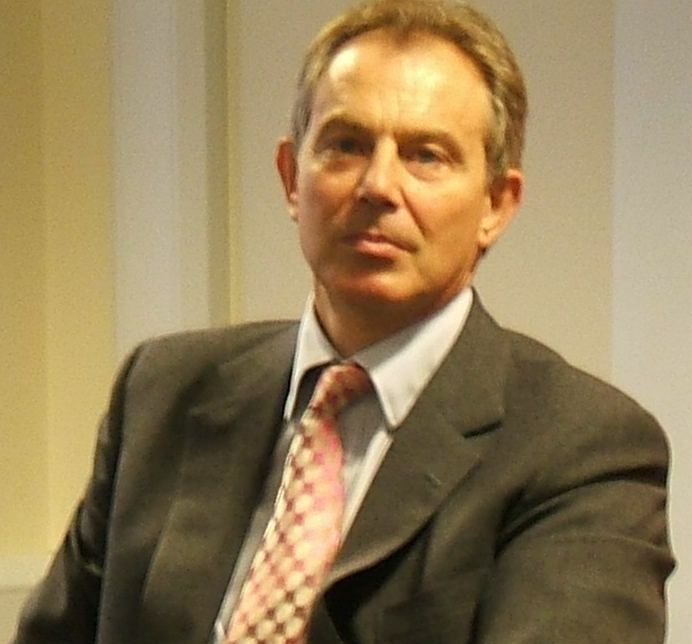 Chris Doyle, Director of the Council for the Advancement of Arab-British Understanding (CAABU), acknowledged Blair as "a very experienced and skilled international figure [who's] been at the top of the international diplomatic circuit for the last decade," with "considerable experience and high-level contacts." Support for Blair and the mission of peace was conveyed in a statement by leadership from the Union for Reform Judaism. 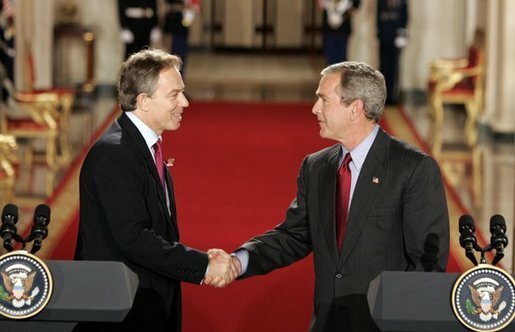 In it, Rabbis Uri Regev, Tony Bayfield, Danny Rich, and Eric Yoffie, take note of Blair's "diplomatic expertise, personal charisma and moral commitment" citing its use in the capacity of "third party mediation [which has] helped to heal conflict when long-held hostilities seem insurmountable." Asharq Alawsat Newspaper, a major press of the Arab world, has released many opposing statements regarding Tony Blair's newly appointed role. Ahmed Farid wrote, "How can someone who's known to be a friend and supporter of Israel, be a fair and honest envoy to the Middle East?" Hasham Nashawati echoed sentiments of mistrust: "He can't serve as peace envoy because he's someone who believes in violence and war to resolve conflicts." Other comments expressed grave disproval of the former Prime Minister's resume with the Middle-East in general and his tight connection with George Bush-"although he's much smarter than the U.S. President." Some optimism did stream through Hassaan Douri, who referenced Blair's peaceful resolution in Ireland, "Who knows, maybe he can succeed in Palestine as well." Iran Foreign Ministry spokesman Mohammad Ali Hosseini released response regarding Blair's post, explaining "He did not have a good background and a good reputation in the region." Hosseini said that the distrust, or lack of credibility towards Blair was due to his role in the invasion of Iraq (Tehran blames the presence of foreign forces for violence in the region), his opposition to immediate ceasefire in Lebanon last year, and overall failure to follow through on promises within the Israeli-Palestinian conflict. Key to success will be Blair's defined role, as noted by Malcolm Hoenlein, of the Conference for Presidents of Major Jewish Organizations. Hoenlein welcomed Blair's participation but stressed, "his role must be defined. If that includes reforming Palestine-government, health, institutions, corruption, democratization, etc.-then, it should be valuable. Otherwise, if the role is as Peace Negotiator, there could be problems. He needs to address the agenda that was placed before James Wolfensohn." The spokesman from the Israeli Consulate points out that "any agreements of worth rest on the ability of the Palestinians to first be able to build a solid infrastructure. A Two-State Solution with a viable Democratic Palestinian State, side by side with Israel is key, but dependent upon the seriousness of Palestinians to unify within a moderate program." "Ultimately, any envoy will only be as strong as the policies and positions he is told to promote. At present the Quartet has been putting obstacles in the way of progress rather than encouraging it. An envoy is no substitute for a sound policy," says Chris Doyle of CAABU. He also addresses an important aspect of Blair's duties--managing relations--the slew of high profiles as well as those looking to him for resolve. "Why, Arabs ask, should they trust him [Blair] when so many British people do not?" Additionally, "If he is to learn the lessons from Northern Ireland, then surely he will have to acknowledge the need to find a way to engage Hamas at some level." A recent study polling Arab and Jewish Americans reported both groups support secure, independent states for Israelis and Palestinians by use of diplomatic means. A push for the Bush Administration to play a greater role in that was also cited. Ironically, the survey was released just prior to the 40th anniversary of the 1967 Arab-Israeli war. Italian Prime Minister Romano Prodi recently visited the West Bank and remarked, "The big challenge is getting [economic] development back." This is one of the key objectives Blair has been charged to play a major role in. However, before he is freed to follow through, Quartet fine-tuners are working out the technical details of the job description. Speculations have been made that a broader role may be required. The former Prime Minister is scheduled to make his first trip to the Middle East as envoy next week. However, Reuters reports that Blair wants a more political role, explaining his capacity-building mandate "is not enough." Should an agreement on the scope of his position fail to be clarified, the trip will be postponed. In the context of spiritual matters, Blair seems equally groomed and astute for the challenge. "The tragedy is that Christians, Jews and Muslims are all Abrahamic religions," says Blair in a Guardian News report. "We regard ourselves as children of Abraham but we have fought for so long." Prior to 9/11, Blair had been reading the Koran for greater understanding of the Muslim people. He is known as a "friend of Israel" with close ties to the Jewish people, and is a Christian himself, although details are vague. Rabbi Levi Brackman, of YNetNews, comments that the politics of Tony Blair closely match Judaic principles. "There have been plenty of do-gooders trying to make peace in the Middle East but who do not understand the nature of evil and who have done tremendous damage because of their lack of moral vision. The fact that Hamas has condemned his appointment is the first indication that he is the right man for this job. He is exactly what is needed in the region: Moral Clarity mixed with compassion. Finally some hope for common sense in a troubled region." "I still wonder why Blair wanted the job," says CAABU's Chris Doyle. "There were a host of job possibilities for him but he took on the Middle East, and at a time when the prospects for progress sadly look very gloomy. This is certainly courageous, and I think, it does stem from a genuine desire to try to resolve this issue."